(High Priestess Productions) - Looking at the promo package and the CD, I can tell why the woman known as Regan goes by Advanced Bliss. I’m sure she has the ability to put any man or woman in such a state. 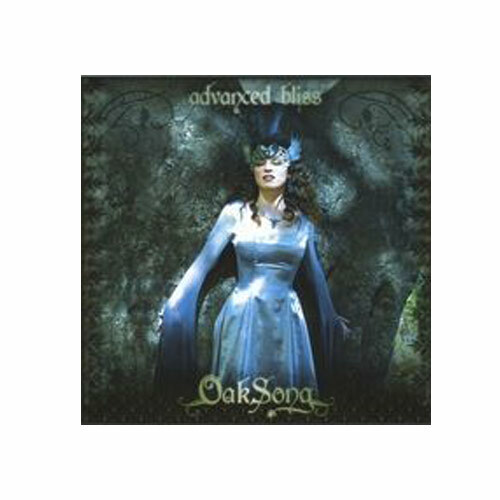 Regan says that this album contains the songs, which were whispered to her by a stand of oak trees on her property. Sound a bit odd? Well, she did send a cool press pack that included a piece of singed end parchment addressed to me. OK, so she’s devastatingly beautiful and sends a cool yet odd press pack…what about the music? It is a conglomeration of medieval themed music, new age and operatic folk singing. I think she’s really good at what she does, but I personally could only take so much of it. One of the best tracks is the seductive and at times funky “Ivory Bed” where she serenades her lover with lines like “All you got to do girl is be with me”. If I heard it at an SCA event then I would be totally into it. This is one of those releases where the context of where you are listening to it really matters.